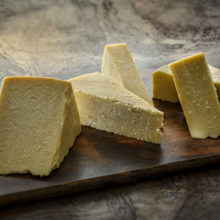 This farmstead cheddar pairs a culinary classic flavor with great finesse. 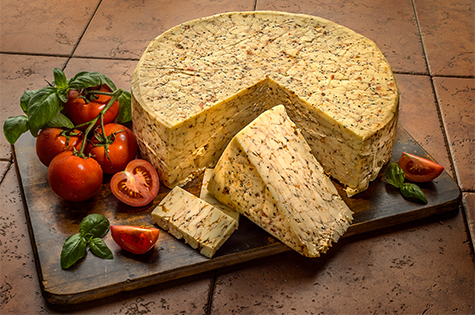 Made with our premium Holstein cow milk and pressed with sundried tomatoes and basil, the cheese creates a moist, Italian experience within the confines of your mouth. 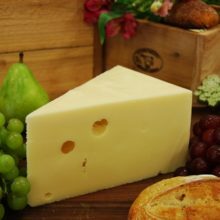 Swiss Girl cheese is a part skim milk cheese with a smooth, buttery flavor and traditional holes. 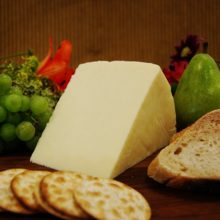 Similar to Emmental cheese from Switzerland, and aged for at least 4 months, his artisan cheese is great for party trays, slicing, or melting.